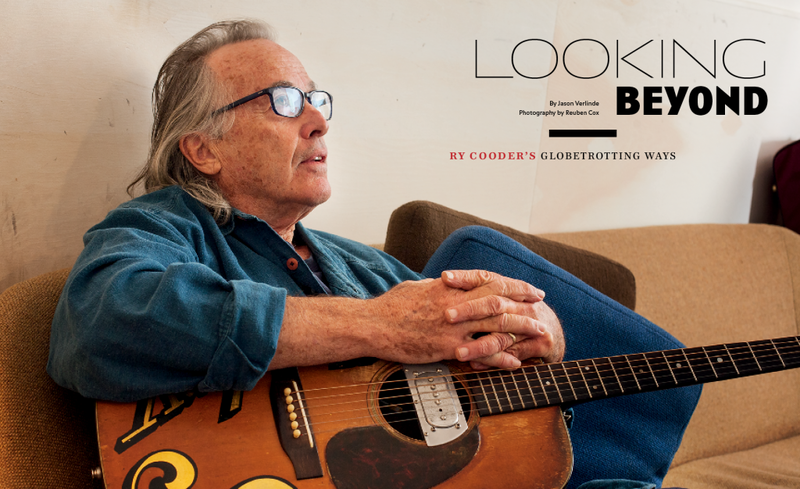 In one of our most comprehensive interviews to date, Ry Cooder sits down with the FJ for an exhaustive (26 page long) interview and exclusive photo shoot. 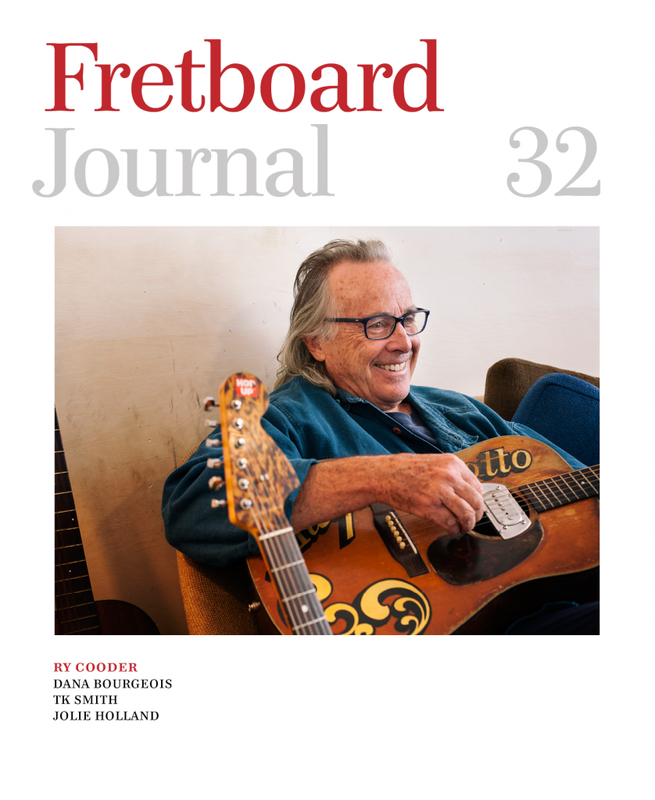 We start at the very beginning—hearing about Cooder’s childhood and the first Arhoolie record he ever purchased (Big Joe Williams’ Tough Times)—and work our way through his lengthy career, including his legendary session work, the impact musicians such as Gabby Pahiniu had on his playing and the evolution of his Coodercaster. Also included are numerous photos of his guitars, amps and madolins. The high-desert town of Yucca Valley, California, is a solid two-hour drive due east from the Los Angeles coast and the Pacific Ocean. In between the two points are most of the locales that have helped build the Southern California music mythos: Hollywood, El Monte, Fullerton, Downey and Pasadena, to name but a few. 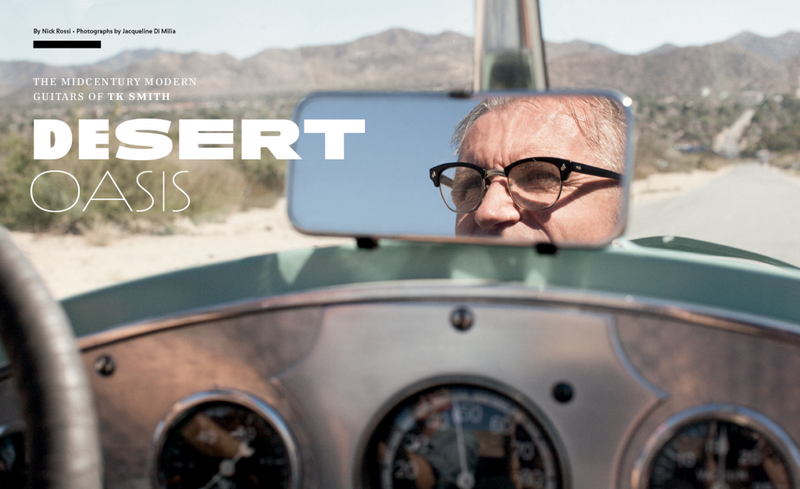 Much of TK Smith’s life story criss-crosses this relatively small but musically and historically rich geographic area, stretching from the desert to the sea. Many first heard the name TK Smith in the early 1990s after his cometlike rise in reputation as a first-rate rockabilly lead guitarist with Big Sandy and the Fly-Rite Trio. Hailing from the Los Angeles area, the group’s arrival heralded a new era of roots-music authenticity. Between a long-standing residency at the legendary King King in Hollywood and the kind of do-it-yourself touring that seemingly only twenty-somethings can pull off, the group managed the rare pairing of popular acclaim with respect from their fellow musicians. But two records (yes, I said records) and dozens of nights on the road later, Smith had had his fill and was ready for something else. Two decades later, Smith is making a name for himself as a specialist guitar builder and customizer. Any fan of mid-20th-century Californian western music will quickly recognize the tradition in which TK is working, as he proudly wears his influences on sleeve. And much like his guitar playing forced the cognoscenti to sit up and take notice years ago, he has quickly captured the attention of some very discerning musicians the world over. The combined cities of Lewiston and Auburn—referred to by locals as LA, with varying degrees of irony—comprise the third-largest population center in the state of Maine. They face each other from opposite sides of the Androscoggin River, on whose eastern bank is poised the Bourgeois factory: an austere 19th-century brick building that was once home to a thriving textile mill. This is the northernmost of three points in a constellation that, for 30-odd years, has led the way for small-volume makers of steel-string acoustic guitars (the other two being the Santa Cruz Guitar Company and Collings Guitars): Every bench-building, tap-tuning shop in America owes a debt of thanks to these people. 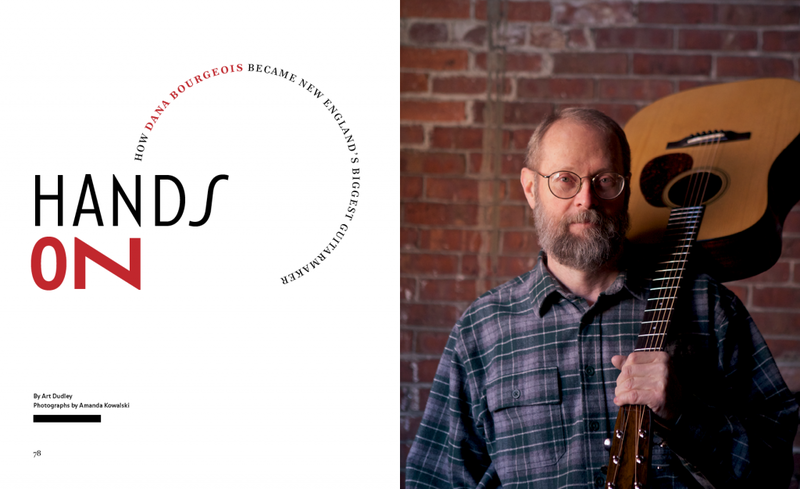 Among the most deserving of all is Dana Bourgeois, an amiable, articulate man whose reputation for sharing time and knowledge with other luthiers is the stuff of legend. Accordingly, during a visit to the Bourgeois factory on what had to have been Maine’s rainiest day in all of 2013, my first question was: Have relations always been so cordial between contemporary builders? “Oh, yeah. We all grew up at the same time, and we’re on the phone with each other all the time. At my old shop, I’d get the intercom saying, ‘Dana, call from Bill Collings’—or Bob Taylor, or whoever. Our first association was the Guild of American Luthiers, before ASIA [the Association of Stringed Instrument Artisans] kind of split off from that, so we’d all go to the conventions to meet these other wild-eyed crazies, who all had the same interests. [And because] you never know where you’re going to get a good idea from, you wouldn’t ever want to miss someone else’s presentation: It was that kind of thing.